Not every car in future will be powered by just batteries, and BMW thinks snazzy fuel nozzles fit with screens will be a pleasant requirement. 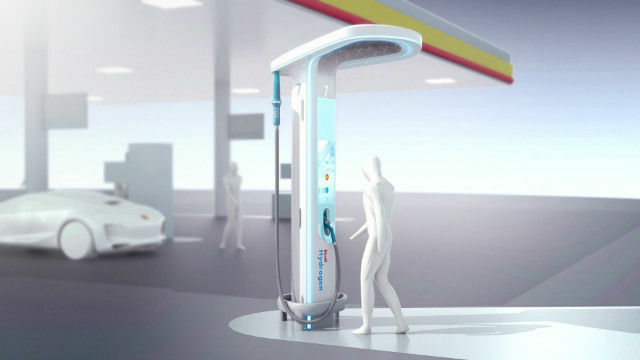 BMW Designworks has teamed up with Shell to present a prototype design of a Hydrogen fuel station. 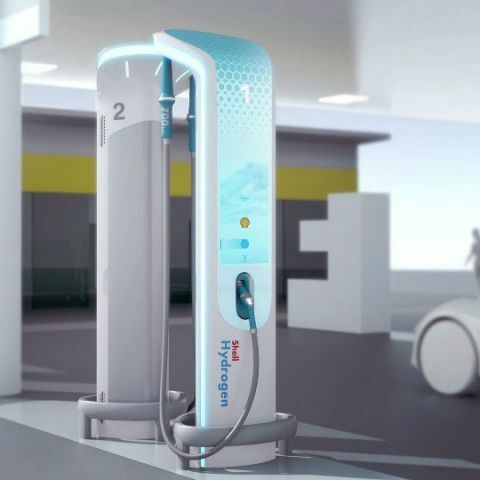 While the company is yet to unveil a Hydrogen fuel-cell vehicle of its own, its subsidiary remains at work to look at Hydrogen filling station designs. 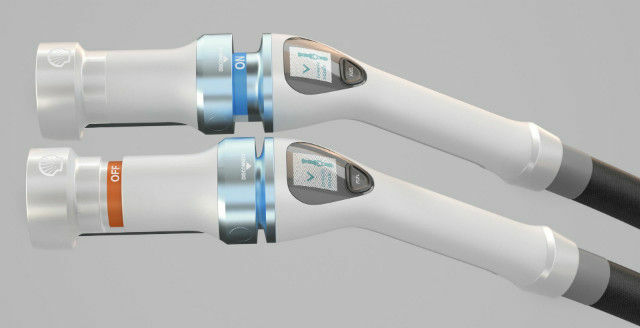 The resulting design is not just neat, but also has a greater appeal alongside providing assistive information to users of the pump. Of course this is only a concept and looks way neater than what it possibly will in real life, there are a number of elements that BMW thinks will add to the customer experience of refuelling cars. The Shell Hydrogen station designed by BMW Designworks shows smoothly designed creases on the tall fuel stands, with pleasant backlighting on the screens of the fuel stands. Indicator lights will guide you to pumps from the road, and the filling stands themselves have giant interactive displays that, instead of only providing the refuelling details, can also provide added information like integrated navigation services for nearby directions, know more about Hydrogen fuel-cell batteries and more. You may think of it as a bit of an information overload, but looking at the number of screens that we are used to on everyday basis (the list keeps increasing every day), such fuel stations may actually provide a pleasantly interactive experience to those who stop by. The nozzle of the Hydrogen fuel stations will also be much smarter than the ones we use today. To help first-time users, the nozzle will have clearly marked on and off buttons to ensure safe usage, along with a screen that keeps relaying information regarding the fuel type and refuelling procedure. The entire procedure is overseen technically, which is a crucial requirement for both safety and ease of operability. The BMW Designworks Hydrogen fuel station is definitely far into our future, but that does not stop us from appreciating the amount of technology that will go into refuelling stations of our future. Is HTC ONe M8 will give Android L update in future? What is the best android phone to buy at a budget of 20-25k..? I want a laptop at a budget of 30 K.